Anisha is particularly interested in the importance of recognizing behaviour patterns in rural households in order to employ successful policies and interventions. 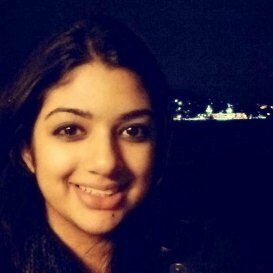 To pursue this interest, Anisha has just completed an MSc in Social Cognition from UCL after completing her undergraduate in BSc Economics from Singapore Management University. She has done extensive research work in the fields of behavioural finance, subjective wellbeing, and decision-making and hopes to be able to apply and compare findings from these areas to the more rural regions across the world. Through this research, she has come to understand the importance of data quality and monitoring when collecting data from differing participant samples and found EfD to be a perfect stepping stone to combine research methodologies with development ideas. Anisha is looking forward to moving to rural India soon and conducting research similar to what is done at EfD!